Impound towing - Why we don’t do it! Impound towing service is a non-consensual tow service and it is legal and regulated by Georgia towing laws. In the state of Georgia is perfectly legal to do an impound tow. Why do towing companies impound your car? It is done at the request of the owner or manager of the property. If you left your car in the restaurants parking lot, the restaurant's manager can legally call an impound towing company to pick up your car. 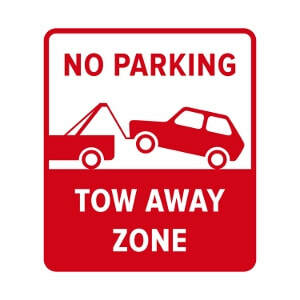 If the manager calls an tow away company to impound your vehicle, you will not be able to regain possession of it only after you have paid all the fees occurred: the towing fees, the daily storage, and other administrative fees. Keep in mind that if you are not claiming your vehicle for 30 or more days and the daily storage fees keep adding up, the towing company can sell your vehicle at a public auction without your consent. ​All this process is an overwhelming expense for some people and it's causing a lot of frustration, so we decided to not impound vehicles at all. We only accept service calls if the owner of the vehicle is present at the time of pickup or we have his consent and a delivery location. We are NOT an impound towing service!